Founded on October 8, 1980, the Heritage Commission celebrated its 30th anniversary (Click here for article) during Homecoming 2010. The Commission maintains and showcases the history of The University of Texas at El Paso since its founding as the Texas State School of Mines and Metallurgy in 1914. The Commission began as several faculty members organized and assumed the responsibility as the original UTEP “Keepers of Tradition.” Today’s commission members also include dedicated University staff and alumni. The commission works to collect and preserve countless items and exhibits, and also offer research support that provides a look back in time, so that we may share our heritage and life stories with future generations. This is all conducted in the spirit of its creator, former President Haskell Monroe, whose scholarly field is history. Built in 1920 and open to the public since 1994, the Heritage House is the campus historical repository. Volunteers are available for tours, video or DVD viewings, archive searches and discussions of the collections maintained. The white stucco building is located north of the Union at Kerbey and Randolph, and is open from Wednesday through Friday, 10:00 a.m. to 12:00 p.m. or by appointment. On the side-menu above, we invite you to peruse some trivia and fact sheets we’ve assembled on UTEP’s history, spirit and traditions. Learn the various ways we’ve shown and continue to show our Miner Pride. 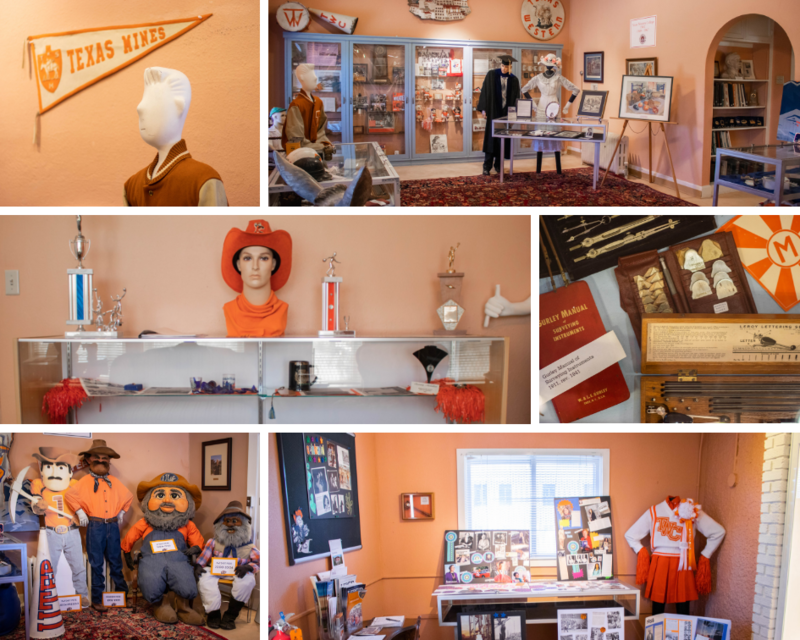 If you have memorabilia that you would like to share or dedicate to the University, please contact us at heritage@utep.edu or call (915) 747-5700. We can also be reached through the Office of Alumni Relations at (915) 747-8600. 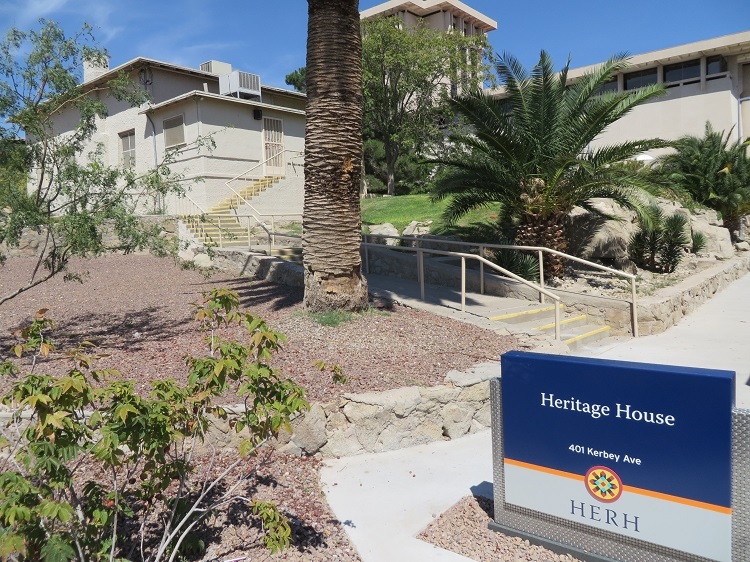 The Heritage Commission is currently seeking volunteers to help continue being the Keepers of UTEP’s rich history and traditions. Membership is open to anyone who has the love and passion for UTEP. Many volunteers are retired Faculty or Staff, Students, or a community supporters. For more information on how you can become a member, contact Briane K. Carter, Heritage Commission Chair, at bcarter@utep.edu or by calling 915-747-8600.